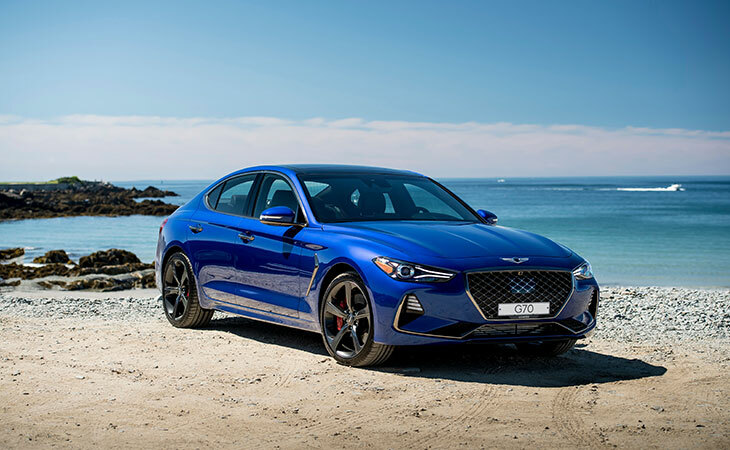 The Genesis G70 was recognized as a finalist in the 2018 International Design Excellence Awards (IDEA®) by The Industrial Designers Society of America (IDSA). The organization evaluated the G70 based on its design innovation, user benefits and social responsibility. Genesis, the newest luxury automotive brand, strives to make a positive difference in the lives of discerning customers, thus becoming an important element of their lifestyle. As a design-focused brand, Genesis has introduced fascinating models that embody athletic elegance, starting from the brand’s flagship model G90, mid-size luxury sedan G80 and its derivative G80 Sport. The recent debut of G70 sport sedan completes the brand’s sedan lineup. All Genesis models in Oman are offered along with exclusive consumer-centric programs to elevate the luxury ownership experience through the Genesis mobile app and Genesis Connected Services, for information on the vehicle’s health, driving and maintenance information. The Genesis experience includes complimentary maintenance, road side assistance, map care service and courtesy car service. These apart, Genesis customers are entitled to five years /unlimited mileage manufacturer warranty and will also get complimentary Genesis Concierge Services – providing Genesis owners with an integrated solution to provide lifestyle management services – combining lifestyle, travel and medical, for a period of 2 years. OTE Group is the distributor for Genesis in Oman. For more details please contact 800-50003.